An ingrown toenail may seem minor, but that doesn’t mean you should treat it on your own — or ignore it. Since an ingrown toenail can lead to a serious infection, the caring podiatry team at Great Lakes Foot and Ankle Institute PC treats you right away. Book your ingrown toenail appointment at the Chesterfield, Clinton Township, Fort Gratiot, East China Township, Shelby Township, or Rochester, Michigan, clinic locations over the phone with your closest office. You can also book online. If left untreated, an ingrown toenail can become so severe, the infection can spread to your underlying bones, which is a dangerous medical issue. While any one of your toenails can become ingrown, this condition tends to affect your big toe most commonly. 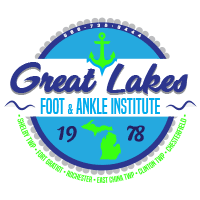 No matter how minor or how severe your ingrown toenail may seem, though, the podiatrists at Great Lakes Foot and Ankle Institute PC offer flexible scheduling for effective treatments. If you have a minor ingrown toenail, you might just need a simple splint. Placing a temporary splint under your toenail can encourage your nail to grow up and over your nail bed. But if your ingrown toenail is more severe, your dedicated podiatrist at Great Lakes Foot and Ankle Institute PC could suggest in-office surgery. Ingrown toenail surgery begins by thoroughly numbing your toe. Your podiatrist can then trim away the part of your toenail that’s ingrown, or remove the entire nail if needed. If you have an infection, you may also need to take antibiotics to help you heal. While ingrown toenails are a common nuisance, if you continually develop them, your practitioner could suggest removing your nail. The Great Lakes team treats your underlying nail bed with a chemical solution or medical laser to stop the nail from growing back. This permanent solution is typically a last resort for chronic ingrown toenail sufferers. Book your ingrown toenail evaluation at Great Lakes Foot and Ankle Institute PC today. You can either click on the online scheduler or call your nearest clinic directly.